Grading is a method by which one can describe the present condition of a coin in comparison to it’s condition at the moment of manufacture. From the moment coins are minted, coins get marks and blemishes from contact with other coins and from being in circulation. Grading gives collectors a common language by which they can describe their coins to others. For many years coins were graded only with words and adjectives. 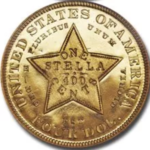 For example, terms such as choice, superb, and gem were used to describe uncirculated coins; but it was difficult for a reader of a catalog to get a mental picture of what the coins really looked like. Even professionals were confused. 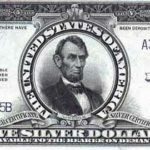 Today, numismatists and all of the third-party grading services in the United States use a 70 point numerical scale that was adapted from an old method of grading Large Cents. It’s called the Sheldon Scale after its originator, William Sheldon. This scale uses the first 59 numbers to deal with circulated coins and the last 11 numbers with uncirculated coins. Every number is not used. The lowest grade is Poor-1 (PO1): A coin so worn coin that it is almost unidentifiable. It is not considered collectible except for extremely rare issues. About Good-3 (AG3): This coin is flat with little detail remaining and with the rims worn down into the lettering. Good-4 (G4): A heavily worn coin with flat details but with intact rims. Very Good-8 (VG8): A well-worn coin with the main features clear and bold. Very Fine-20 (VF20): You will find moderate wear on the high points of the design. All the major details are present. Choice Very Fine-30 (VF30): This coin shows light even wear on the surface and on the highest parts of the design. All the lettering and features are sharp and clear. Extremely Fine-40 (EF40): The coin’s design is lightly worn. Traces of luster may show. Choice Extremely Fine-45 (EF45): The coin has wear on all the high points of the design but all the design elements are sharp. The coin must have some mint luster to qualify for this grade! 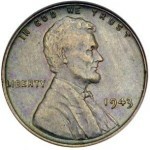 About Uncirculated 50 (AU50): The coin will have traces of wear on most of the high points but it must have at least half the original mint luster. 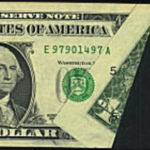 Choice About Uncirculated 55 (AU55): Only the smallest amount of wear will be found on only the highest points of the design. Most of the mint luster must be evident. Very Choice About Uncirculated 58 (AU58): A coin that is very close to being uncirculated with just a trace of wear on the highest points. In the Uncirculated grades the numbers are preceded with the designation MS for Mint State. 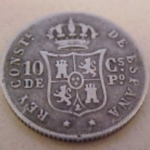 The grades used are MS60 through MS70 with MS60 representing a coin that is uncirculated but may have heavy marks and dull luster. An MS65 coin will have few marks and none of them can be distracting. An MS65 coin will be very pleasing to look at and an MS66 coin will be somewhat nicer. At the top of the scale would be MS70, which would represent an outstanding looking coin with absolutely no marks. This perfect grade is almost never used. Coins that fall into the near-perfect category are given the grades MS67, MS68 or MS69. Today there are four leading coin grading services in the U.S. that authenticate, grade and encapsulate coins in tamper-proof hard plastic holders. They include the Professional Coin Grading Service (PCGS), Numismatic Guaranty Corporation (NGC), ANACS and the Independent Coin Grading Company (ICG). While there are subtle differences in the standards applied by each of these grading services, it is strongly recommended that most higher value and rare date coins should be submitted to one of these companies for evaluation and certification. Also see: Why is there a difference between grading services? How many U.S. cents would equal 1 bit?